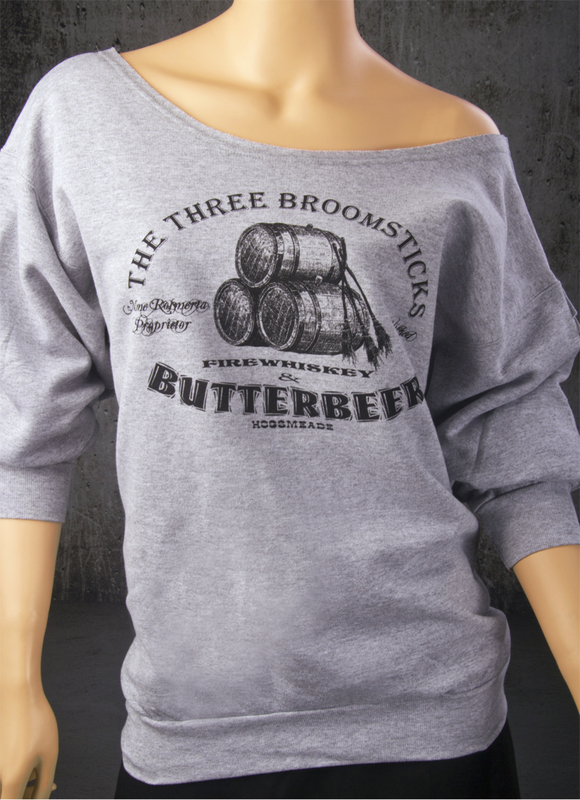 Butterbeer Slouchy Sweatshirt. Off-The-Shoulder Heather Grey Harry Potter Sweatshirt. OUR ORIGINAL DESIGN Butterbeer Slouchy Sweatshirt in Heather Grey with non-toxic Black ink. The Three Broomsticks at Hogsmeade!